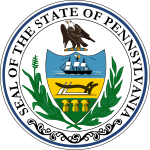 Philadelphia_municipal_election,_1951 - TerritorioScuola Enhanced Wiki Alfa - Enhanced Search with WikiPedia Using Robots to display related resources from the web to all WikiPedia words (Video/Audio, .doc, ,pdf, .ppt, maps, edu, .html). Clark, Joseph S.; Clark, Dennis J. (1982). "Rally and Relapse: 1946–1968". In Weigley, Russell (ed.). Philadelphia: A 300-Year History. New York: W.W. Norton & Co. pp. 649–703. ISBN 978-0-393-01610-9. Feller, Wende Vyborney (2007). "Poling, Daniel Alfred (1884–1968)". In Shearer, Benjamin F. (ed.). Home Front Heroes: A Biographical Dictionary of Americans During Wartime. 3. Westport, Connecticut: Greenwood Press. pp. 676–677. ISBN 978-0-313-33423-8. Miller, Joseph H. (April 18, 1951). "Independents Play Decisive Role in Victory". The Philadelphia Inquirer – via Newspapers.com. Miller, Joseph H. (July 25, 1951). "Poling and Clark Are Nominated". The Philadelphia Inquirer. pp. 1, 12 – via Newspapers.com. Miller, Joseph H. (October 25, 1951). "'Corrupt GOP Machine' Reviled By Clark; Poling Confirms 'Mace' Charge". The Philadelphia Inquirer. pp. 1, 2 – via Newspapers.com. 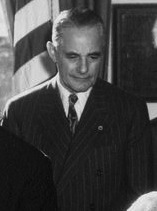 Miller, Joseph H. (November 7, 1951). "Democrats win by 122,000". The Philadelphia Inquirer – via Newspapers.com.